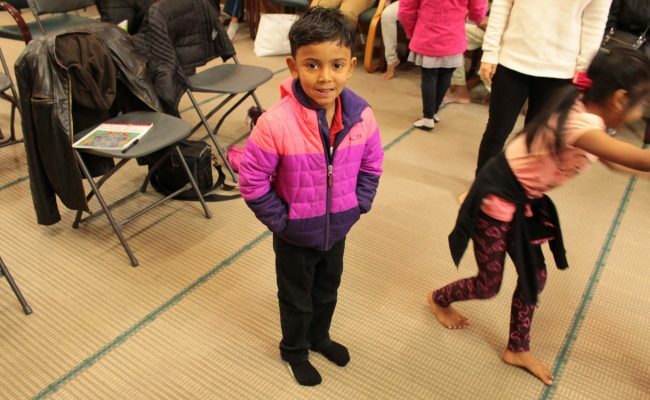 Children ran around, colored in books, and scribbled on sheets from notepads as they waited for their families’ turns in line to try on new winter coats at the Rohingya Cultural Center in Rogers Park, Chicago. The center is home to a growing population of Rohingya refugees, a Muslim minority group persecuted in its home country, Myanmar (Burma). The RCC is a resettlement center where Rohingya children learn Quran, Arabic and respect at the center after school, said Nasir Bin Zakaria, one of the community leaders. The adults learn and practice English during the day while their children are at school. But Nov. 21 was about coming together in a different way. 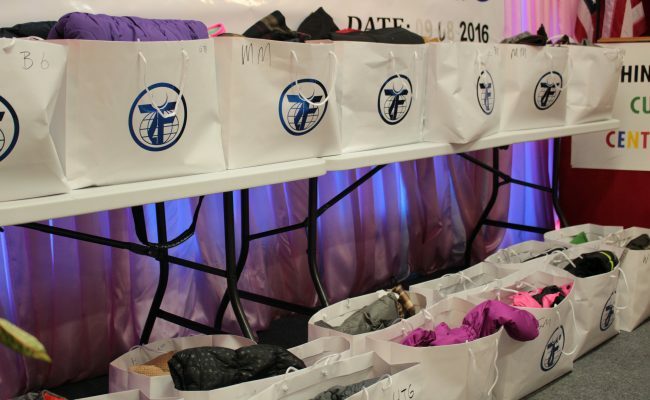 Zakat Foundation of America (ZF) held a winter kit distribution to help the Rohingya community. 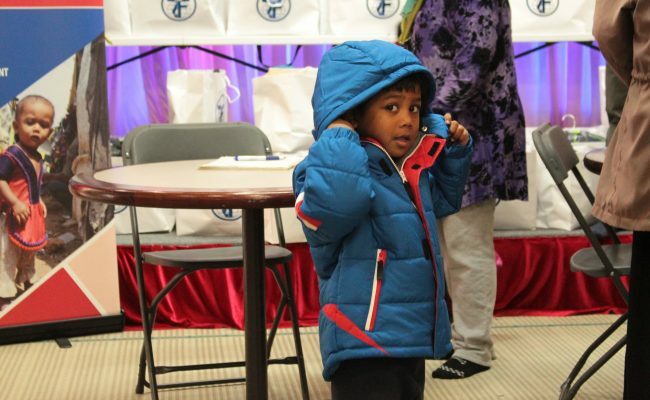 Parents dressed young ones in colorful new winter coats, lifting babies and toddlers to show their spouses how the jackets fit. On top of being a meeting place, the RCC is a nonprofit organization and a reminder of who the Rohingya are and where they come from, Bin Zakaria said. He was forced to go from Burma to Bangladesh to Thailand before settling in Malaysia for 15 years. Only then did he become one of about a thousand Rohingya refugees to find a home in Chicago since 2013. He hadn’t seen snow until moving to Chicago, and he said it took him a few weeks to learn how he needed to dress for the weather. He said he has been adjusting fairly well to the lifestyle in Chicago and is thankful for all the opportunities he has had since coming to the United States. He now has three children, two of whom were born in Chicago, but many of his neighbors are unaware of the new life he and his people started in recent years. Khaja Mubashiruddin, operations supervisor for the Social Security Administration, said the kids are the heart and pulse of the RCC. Many of them go there every weekday after school to learn and play. He said establishing the center is a first step in the right direction. ZF’s winter contribution is one of many distributions in the United States, Europe and Asia. Click here to learn more and contribute to ZF’s Donate a Winter Kit program today.